Frontline hospital staff have been inundated in the past few days with people turning up at Hull’s Emergency Department with coughs, colds and minor injuries. Hull Royal Infirmary’s Emergency Department has seen more than 400 people a day this week, with around 50 per cent seeking care for minor injuries and illnesses. However, fewer than 10 per cent have required hospital admissions, underlining the fact that most could have gone to their GPs, attended an urgent care centre, seen their pharmacist or taken care of their own symptoms at home instead of heading for Hull Royal. One man turned up for treatment for a sore finger, injured in a drunken fall several months ago, some have come because they’ve been asked to wait for an appointment with GP while others have ignored advice and turned up at hospital with diarrhoea and vomiting, risking its spread to already vulnerable patients with much more serious conditions. Now, Teresa Cope, Chief Operating Officer of Hull University Teaching Hospitals NHS Trust, is appealing to people to use alternatives to the Emergency Department this weekend to ensure emergency staff are free to help the seriously ill and dying. She said: “We’re seeing around 250 people a day walk into the Emergency Department and another 150 people arrive by ambulance it’s fair to say a large proportion of those could have been seen more rapidly and just as safely by alternatives services in the community. “There has been a steady increase in attendances of people with minor injuries and illnesses in the past week which has placed huge pressure on our staff and services. “We are still seeing large numbers of very sick people requiring admission to hospital. Our staff are working around the clock to discharge people well enough to go home so we have enough beds for those who need to come in. The trust is running its #SeriousStuff campaign to urge people to use alternative services instead of heading to A&E with minor complaints. We’ve revealed how frontline emergency teams have been asked to squeeze blackheads, remove false nails and treat people for sniffles and minor bugs which could easily be treated at home. Hull has a 24-hour Urgent Care Centre at Bransholme Health Centre and there are three new Urgent Treatment Centres, open 16 hours a day, at Goole, Bridlington and Beverley. If you live in the East Riding, you can visit www.eastridingofyorkshireccg.nhs.uk/choose-well/ to discover alternatives to A&E in your area. People living in Hull can visit www.hullccg.nhs.uk/find-local-services/ to find out about other health services in the city. 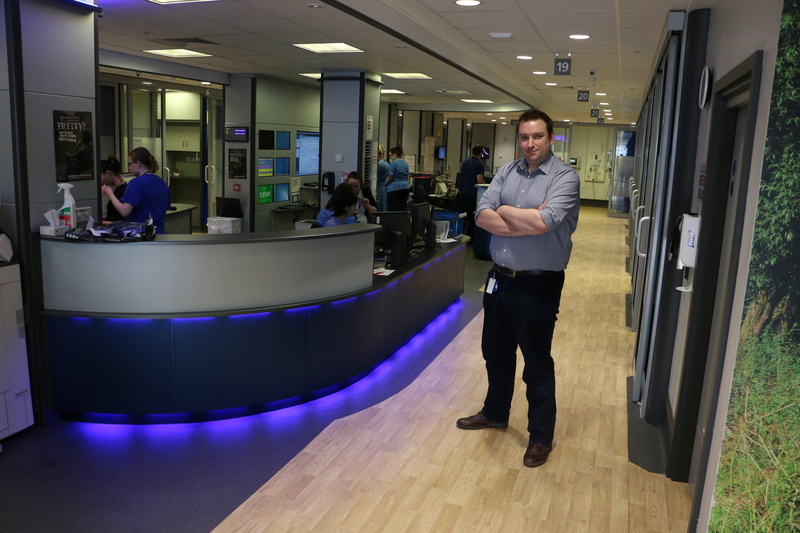 Matt Storey, Divisional General Manager for Emergency and Acute Medicine, praised hospital teams for their dedication in responding to the current pressures. He said: “We’ve got a fantastic team and they’re working flat out round the clock to help as many people as they can. “All we are asking is that people help themselves and help others by using the best health service for their problem. We have great urgent care services in Hull and the East Riding – if you’re not sure what to do you can access information via the internet or call NHS111. This frees up our time at Hull Royal to look after the sickest people and their families who really need our help. “In general, people know when they’ve got a serious illness or when it’s something that can be treated elsewhere. 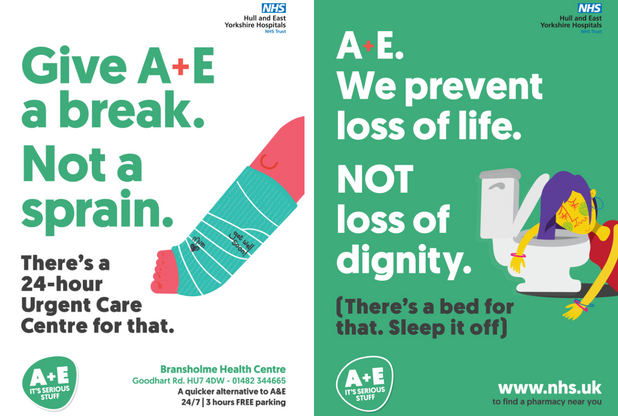 If you’ve had something for a while, it’s a pretty safe bet that it’s not something you need to come to hospital with and not being able to get an appointment with your GP is not a reason to head for A&E.